when there's a version without SD slot then it's very likeley that Europe and America won't get the version with the SD slot. Would have been a pretty perfect phone otherwise, but the lack of SD slot really ruins it for me :( Such a multimedia device with huge screen and such must have much storage. And 32GB isn't that much for a device like that imo. bring a mini version with 4.5 screen with all hardware characteristics including very small bezel!!! Good looking phone. Only about LG is that they don't update their phone. OS 4.2.2 will be at 4.2.2 forever. 60 fps FHD is a nice touch! will wait to see if this is nexus 5 in Oct before buying. Can't imagine Google would pass this up as the next nexus unless they have something better, but don't know what that would be though. Hate all you want...LG G2 on top for now. Ahh looks too much like my Galaxy S3 I mean come on! is the phone made out of plastic like samsung? Anonymous, 07 Aug 2013However g2 ppi is lower but g2 haven't pentile matrix lower you say? when compared to what? AnonD-18905, 07 Aug 2013Is this a smart phone or a phabletBoth. 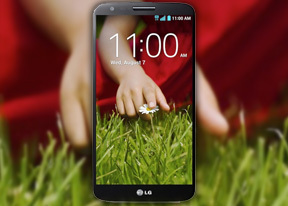 LG G2 is one of the best phone yet, with some innovative design and performance. congrats to LG, my thoughts are how its gonna stand up to everyday task and real life usage. AnonD-143994, 07 Aug 2013Absence of memorycard slot Is a big letdown... But S800 and adreno 330 are exciting... I... moreit does have a microSD.. what are you talking about? Nice specs on paper sheet. Lets see how it turns out to be in real world. Looks amazing to get hold of.